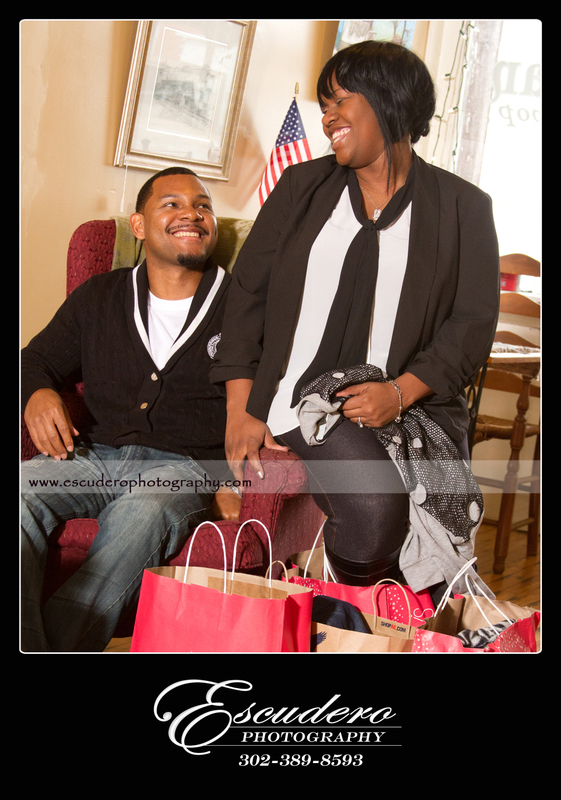 Nicole and Valdez had their pictures taken for their engagement locally in Clayton, Delaware. 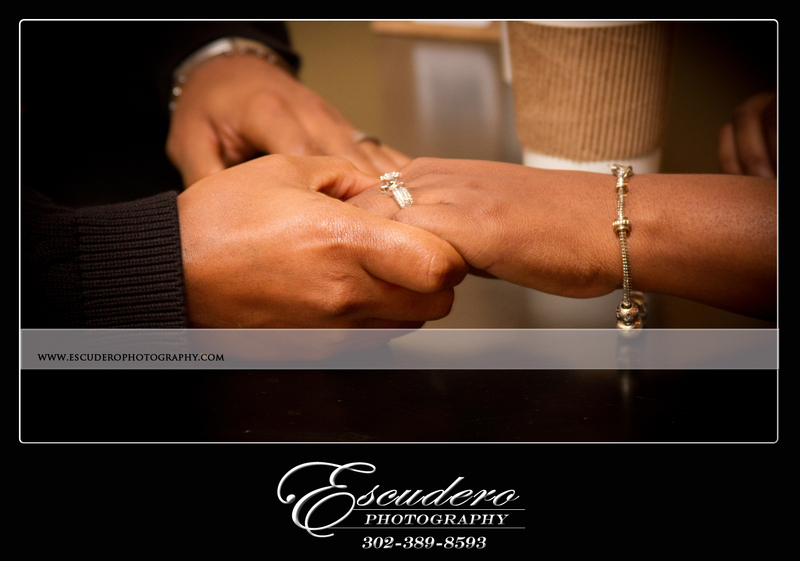 In fact, they were taken right across the street from the Escudero Photography Studio. The Young Bean is a great coffee shop with a friendly and warm environment. Not to mention the drinks and sweets there are delicious! Check out the Young Bean’s Website and look at our Website as well. 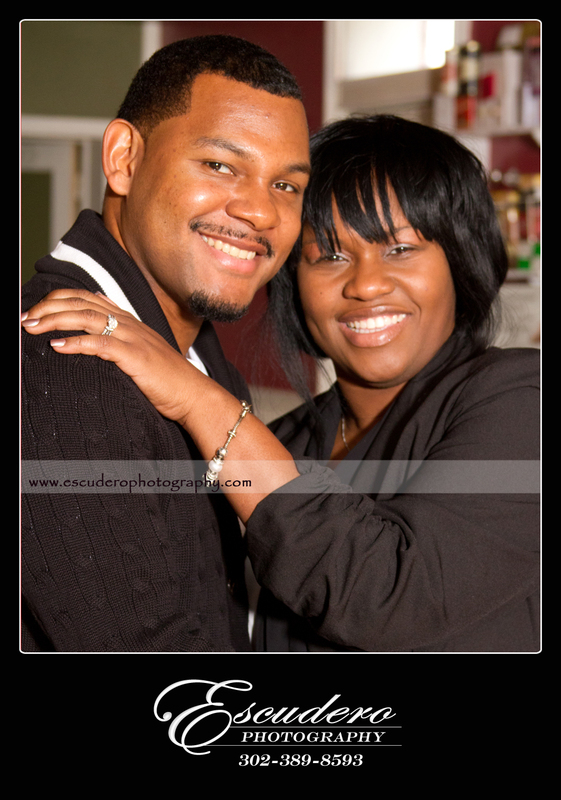 We make a great team and the pictures look great! To book an appointment call us at 302 389 8593 or stop by our studio at 401 Main Street in Clayton, Delaware. Don’t forget to pick up a coffee at the Young Bean on your way! 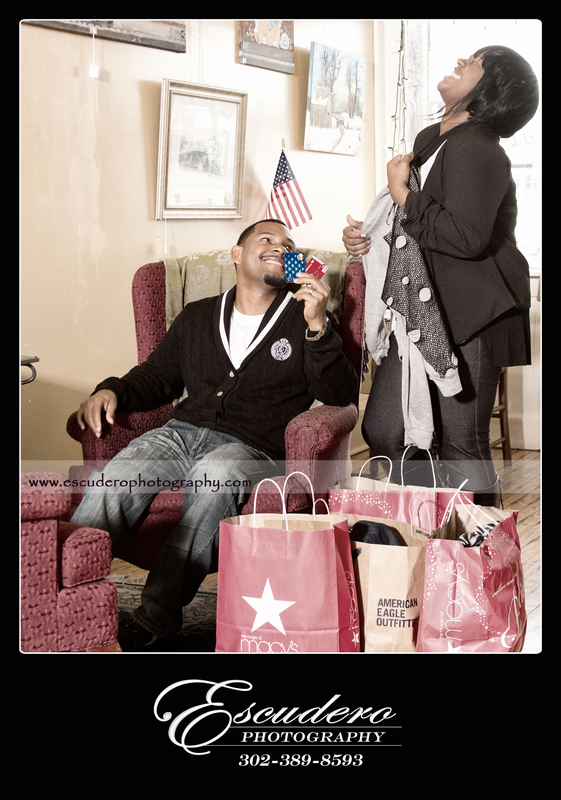 This entry was posted in Engagement Portraits and tagged coffee shop engagement picture, delaware photography, delaware portraits, engagement portaits, young bean clayton de. Bookmark the permalink.